YES! 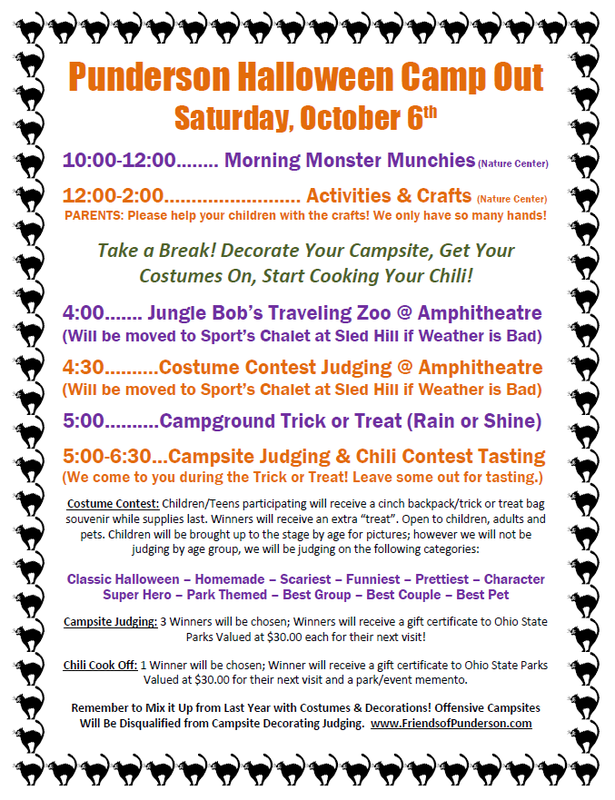 We are having the Halloween Camp Out again this year on Saturday, October 6th! This event is NOT open to the public, it is available to CAMPERS ONLY. If you do not have a parking pass associated with a campsite the day of the event you will not be permitted in the campground area. This is for the safety of our guests as well as allow it to remain an exclusive event for those camping.